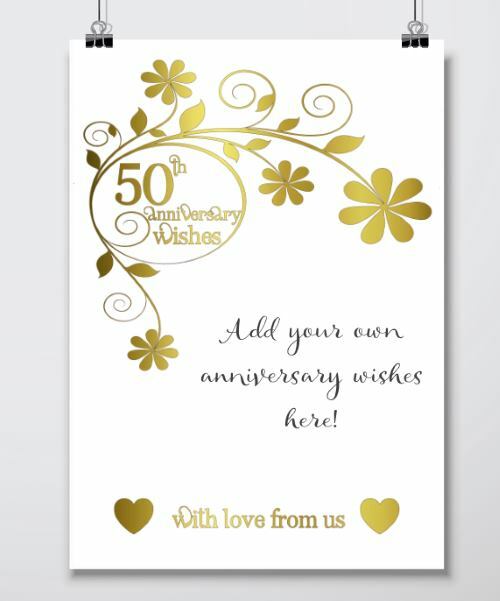 Need 50th Wedding Anniversary gift ideas? Here are my pick for presents that perfect ideas for parents, friends or colleagues! I came up with these fabulous INSTANT download posters when I needed a golden wedding anniversary gift from a group of us. Just print, sign and frame for a really special, personal gift that the anniversary couple will love. 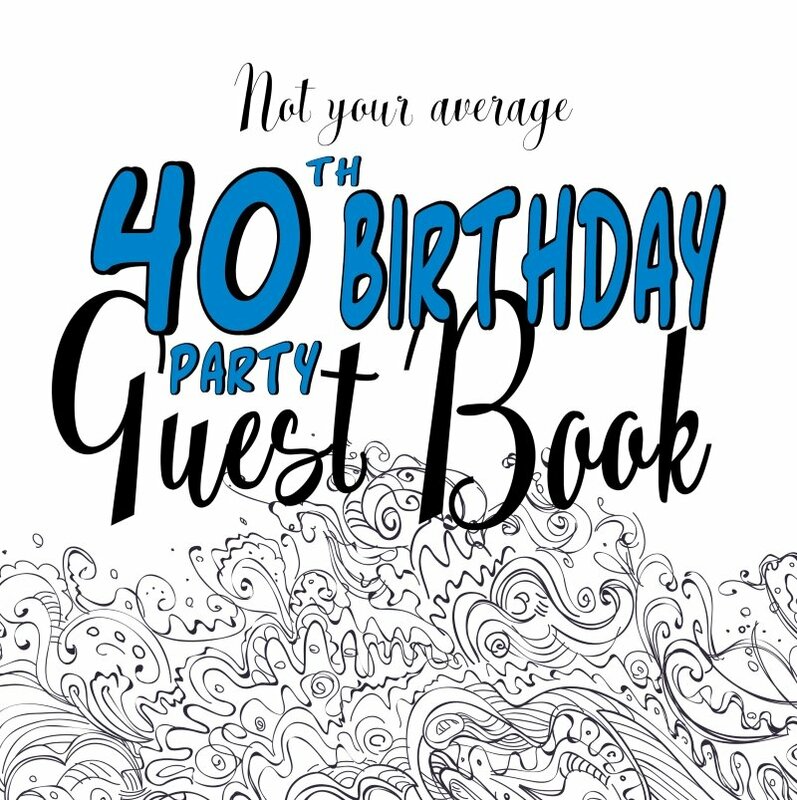 Get them signed by the family - or your social group! 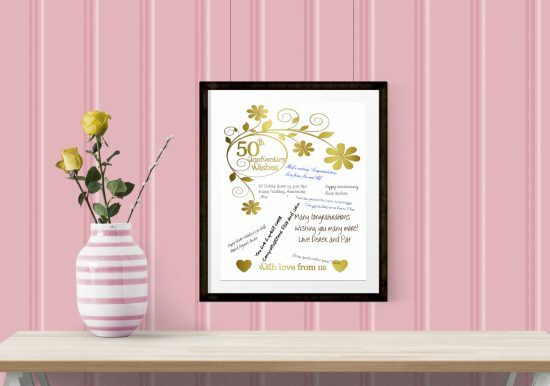 This beautiful gold effect printable has BLANK SPACE for everyone to sign their well wishes. It makes such a lovely change from a signed card. A real personalized keepsake that can be displayed with pride. When everyone has signed (and I have some anniversary wishes here) frame it to finish it. 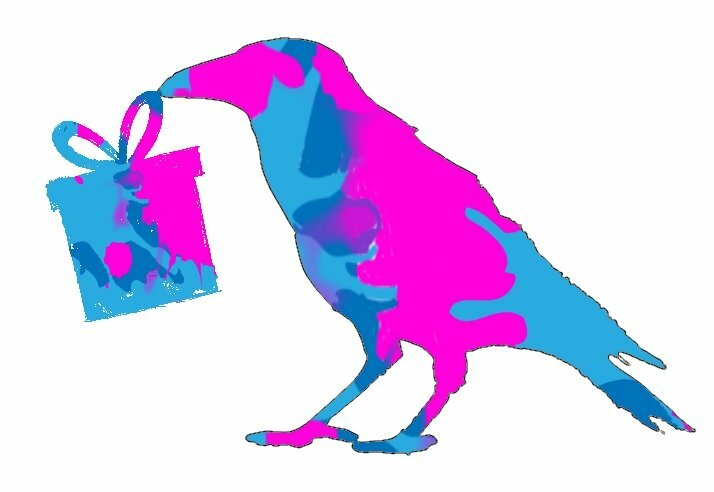 And you have a very personal and stylish gift idea. Download and print the digital files at home. Get everyone to write a supportive message. I know it is hard to think of something clever to write so I have ideas for you here. Frame it ready to give as a gift. 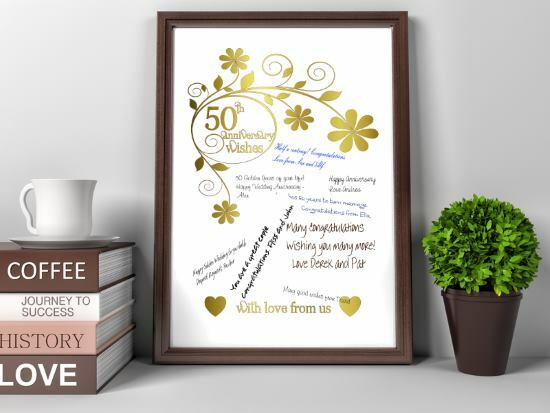 This beautiful personalized golden wedding anniversary gifts poster is available in 3 different sizes so you can easily find a frame to fit. Quick and Easy 50th Anniversary Gifts! 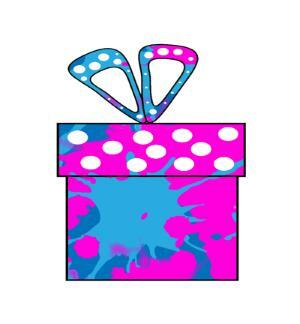 ♡ 1 x 8x10 inch JPG image file. ♡ 1 x 8x10 sized (8"x10") PDF document. Slightly smaller and will need to be trimmed after printing. I wanted to be sure that you could easily frame it so the download comes in 8x10, Letter and A4 sizes. My favorite way to frame is to choose a larger frame with a mount aperture at the right size. This gives some space around the printable and lets it breathe a little! Here is an example of what I mean. 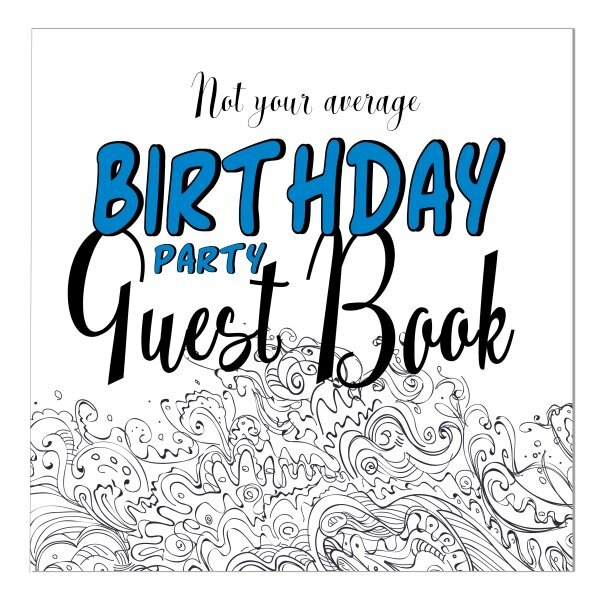 Are you in charge of organizing the anniversary party? 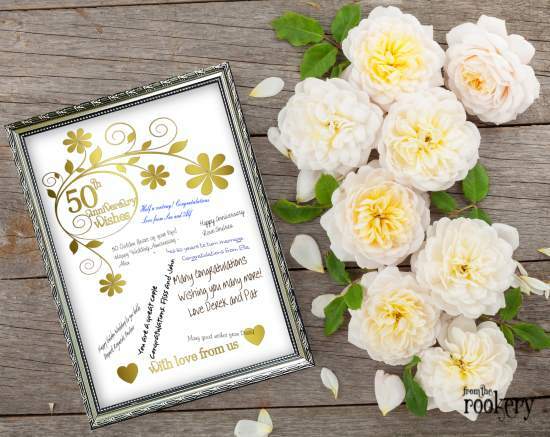 I have several free printable invitations for 50th wedding anniversary parties on this site. Why not print one off while you are here.